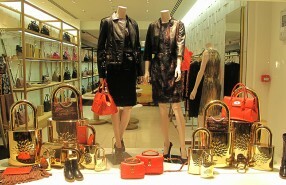 The Mulberry collection is being protected by British guards with Mulberry tree buttons in their Winter window display. 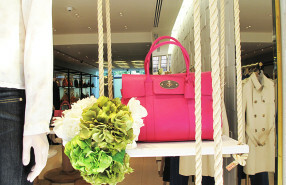 Mulberry summer window display uses flower swings to present the Mulberry bags. 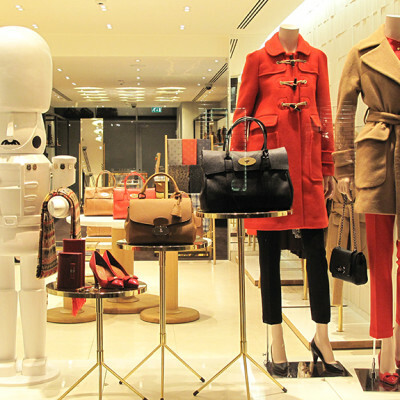 Mulberry have their iconic products on lock.